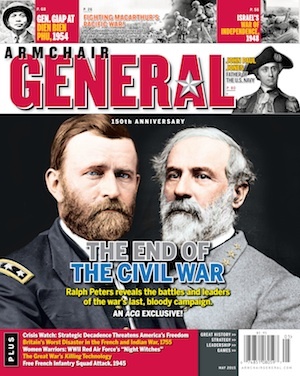 Ford’s Theatre and Google Create Interactive Online Exhibitions | Armchair General Magazine - We Put YOU in Command! Washington, D.C.—Ford’s Theatre Society and the National Park Service today announced their partnership with Google Cultural Institute to share interactive online exhibitions about the Lincoln assassination conspirators and the history of Ford’s Theatre and the Petersen House. Additionally, online users can now explore Ford’s Theatre on Google Cultural Institute via Google Street View, which allows a virtual walk through of the Theatre, Petersen House and museum exhibitions at the Center for Education and Leadership. More than 150 historic photographs and artifacts were selected to become part of the Google Cultural Institute. The resolution of these images, combined with a custom built zoom viewer, allows history lovers to discover minute aspects of artifacts like the deringer pistol John Wilkes Booth used to assassinate President Lincoln. Using the Street View feature, digital visitors can move around the Theatre, Museum, Petersen House and Center for Education and Leadership virtually, selecting artifacts and images that interest them and clicking to discover more or diving into high resolution images, where available. In addition to the artifacts displayed on site, Ford’s Theatre selected a range of other historical images, such as multiple depictions of President Lincoln’s death in a back bedroom of the Petersen House, to enhance users’ understanding of the historic site and its significance. A specially designed Street View ‘trolley’ has taken 360-degree images of the museum galleries and historic interiors, which were then stitched together, enabling smooth navigation across the varied museums included in Google Cultural Institute. The spaces can also be explored directly from within Street View in Google Maps. Visitors to the Google Cultural Institute can browse works by museum, artist’s name, artwork or artifact, type of art, country, collection and time period. Google+ and video hangouts are integrated on the site, allowing viewers to invite their friends to view and discuss their favorite works, objects and places in a video chat or follow a guided tour from an expert to gain an appreciation of a particular topic or collection. Google’s ‘My Gallery’ feature allows users to save specific views of any of artworks, artifacts and historic photos to build their own personalized galleries. Comments can be added to each image, and the whole gallery can then be shared with friends and family. It’s an ideal tool for students or groups to work on collaborative projects or collections. In addition, a feature called ‘Compare’ allows you to examine two artifacts or images side-by-side. Google Cultural Institute is dedicated to creating technology that helps the cultural community to bring their art, archives, heritage sites and other material online. The aim is to increase the range and volume of material from the cultural world that is available for people to explore online and in doing so, democratize access to it and preserve it for future generations. Ford’s Theatre Society was founded under the guidance of executive producer Frankie Hewitt, who, during her 35-year tenure, established Ford’s as a living, working theatre producing performances that highlighted the diversity of the American experience. Since the arrival of Paul R. Tetreault as Director, critics and the theatregoing public have recognized Ford’s for the superior quality of its artistic programming. Under the leadership of Wayne R. Reynolds, Board of Trustees Chairman Emeritus (Chairman 2007 to 2012), the mission of Ford’s Theatre Society expanded to include education as a central pillar. With the opening of the Center for Education and Leadership in February 2012, Ford’s Theatre has become an educational hub, offering programs that inspire teachers and students to embrace and learn from Abraham Lincoln’s legacy. Currently, under the leadership of Board of Trustees Chairman Eric A. Spiegel, Ford’s enters a second phase of strategic planning to ensure the organization’s place as a national destination for exploring Lincoln’s legacy and the American experience through the intersection of history, performance and education. For information on the National Park Service and the Ford’s Theatre National Historic Site, please visit www.nps.gov/foth.